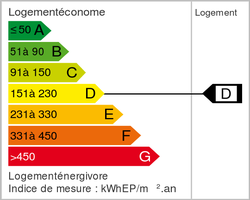 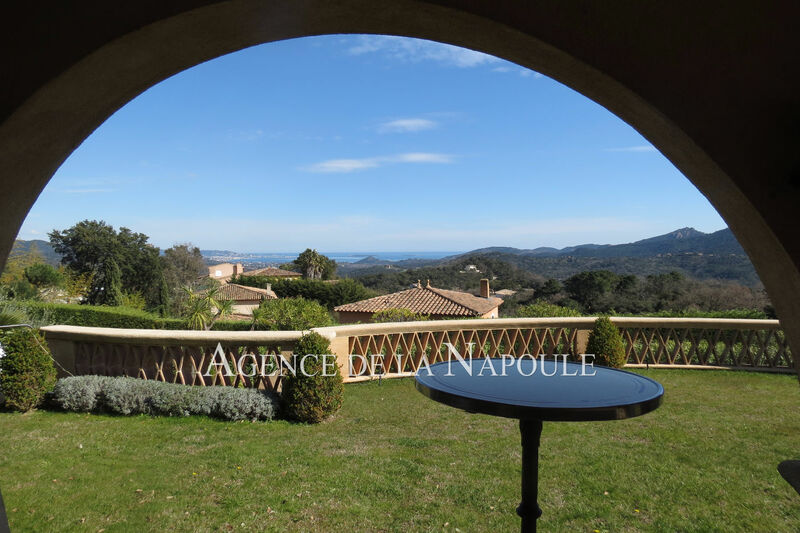 in a residential area, secure and closed 140 hectares in the heart of the massif of Esterel, 10 minutes from the sea. 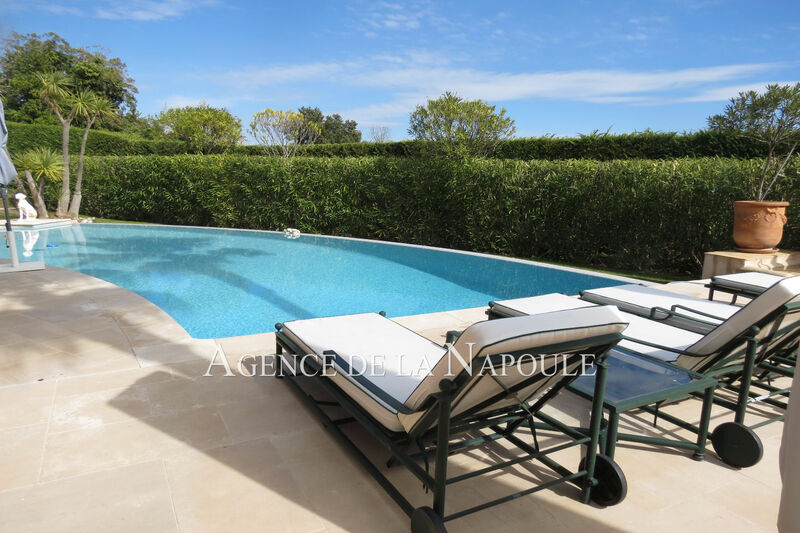 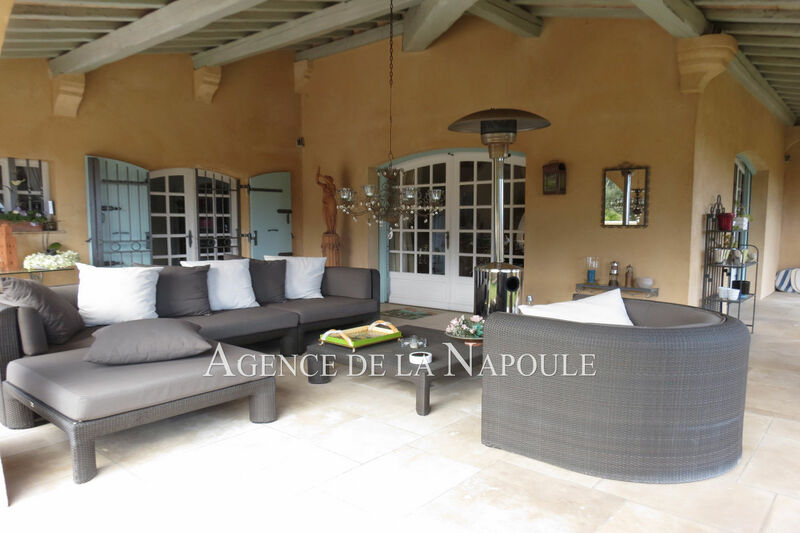 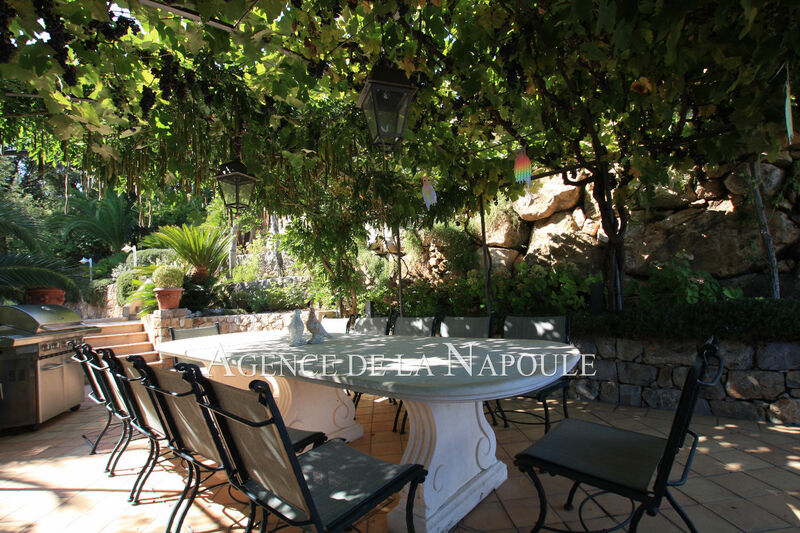 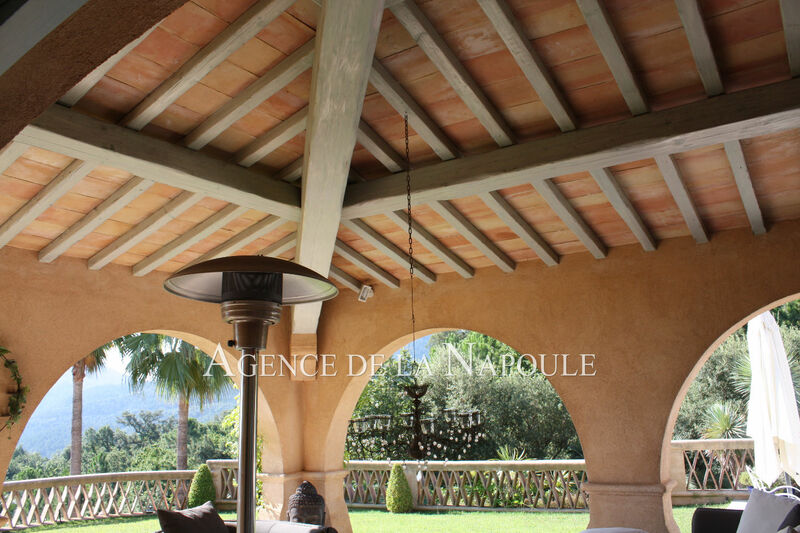 beautiful grounds 2245 m², landscaped with heated pool, large terraces. 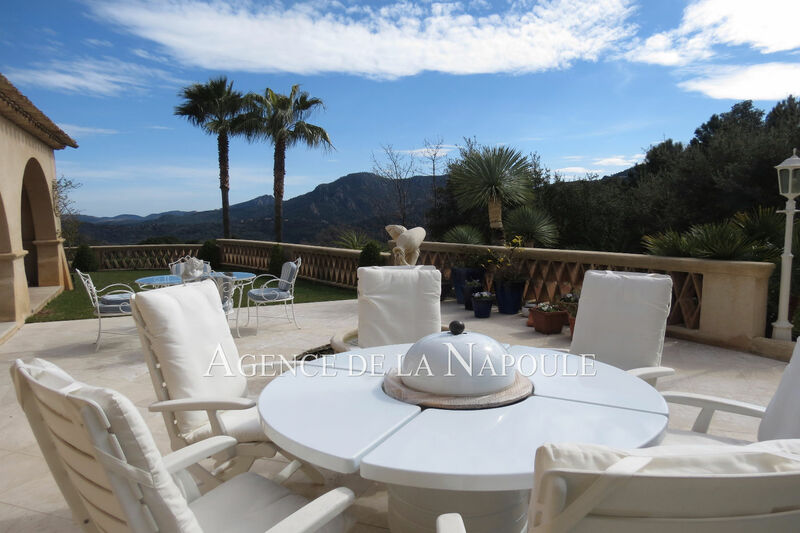 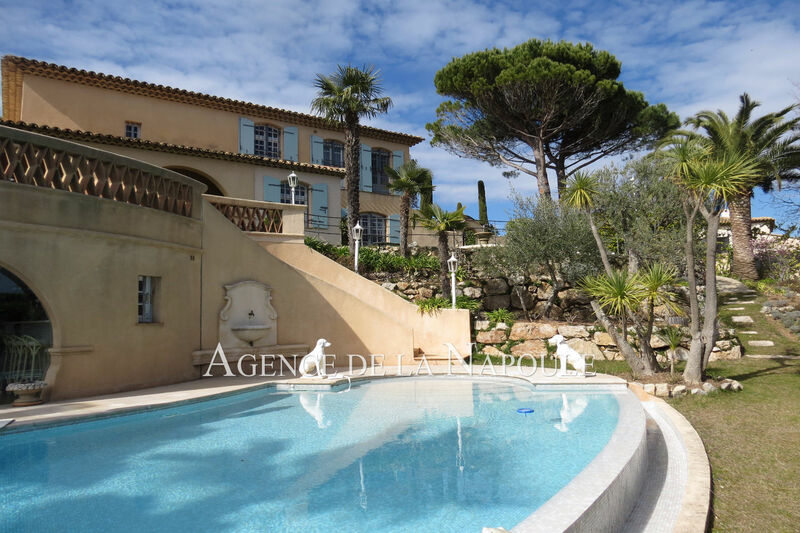 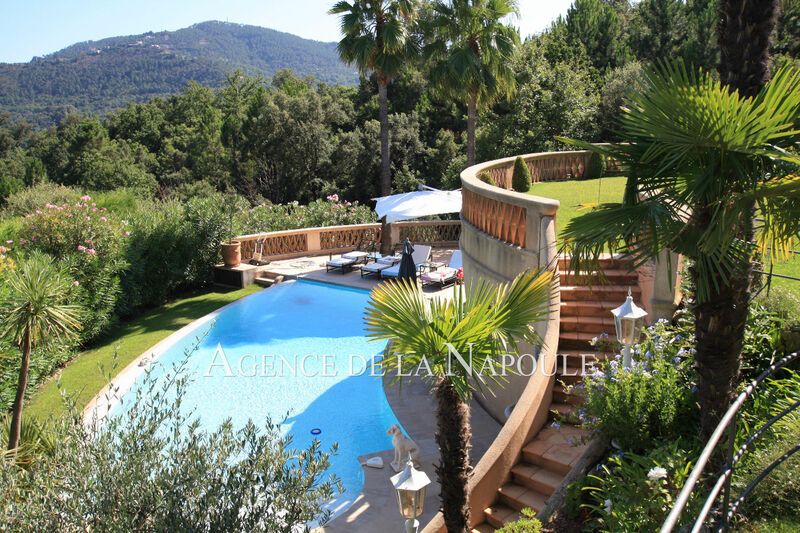 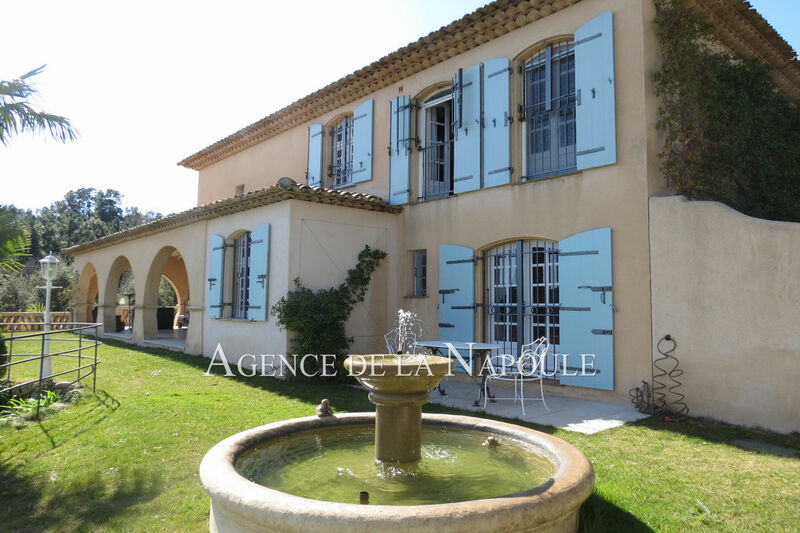 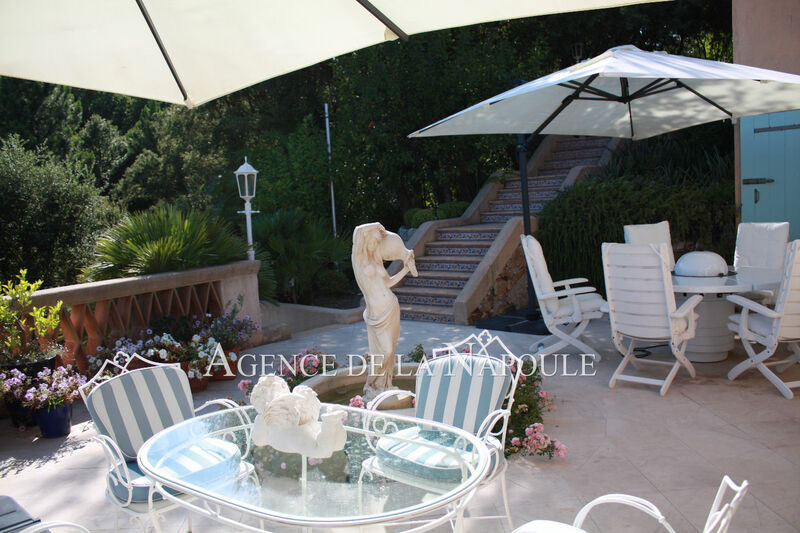 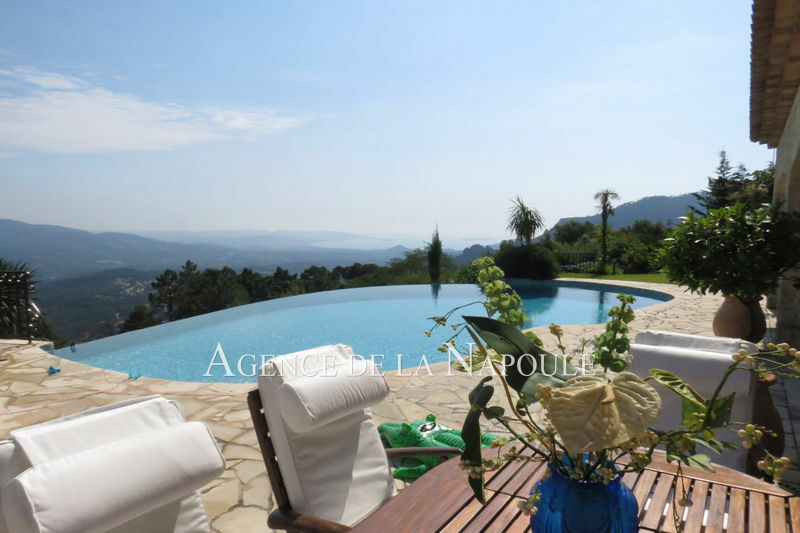 charming villa of 245m² with panoramic and unobstructed view up the bay of Cannes. 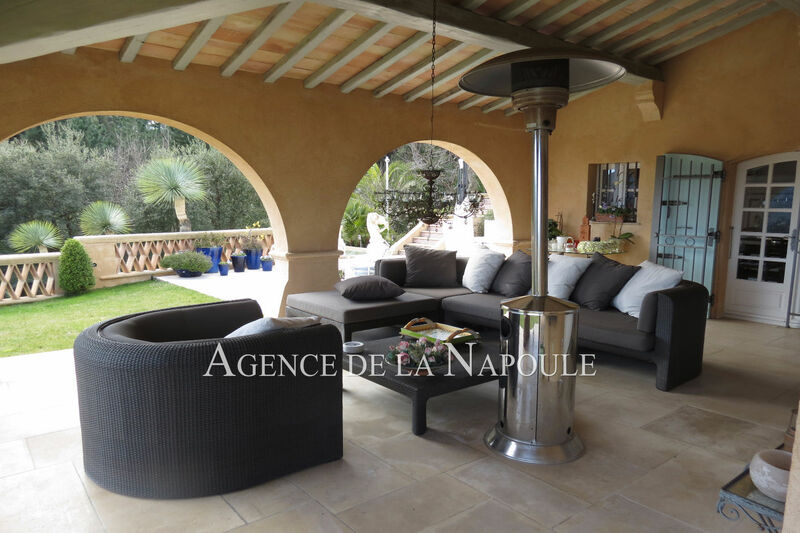 ground floor: entrance, toilet, living room with fireplace / dining room / music area overlooking garden terrace (stone floor of Burgundy), kitchen, scullery, pantry, wine cellar, dressing room, 2 car garage.